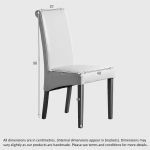 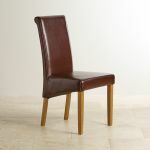 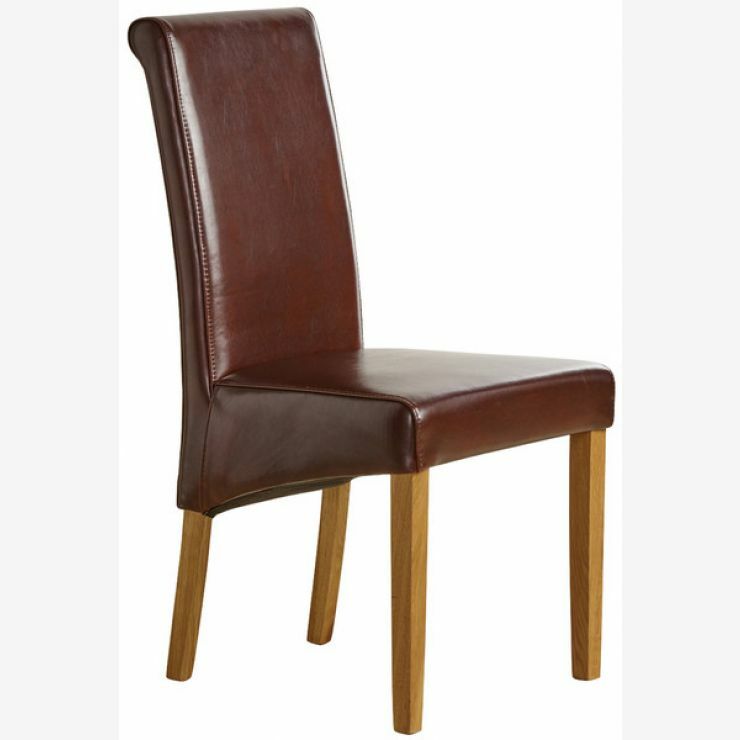 This contemporary dining chair features a classic scroll-back design which would enhance any modern dining room. 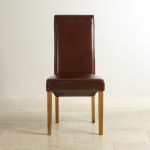 The high back styling provides added lumbar support and the brown, real leather ensures that you dine in style and comfort. The legs are crafted from premium grade natural solid oak and are designed to complement any of our solid oak dining tables.